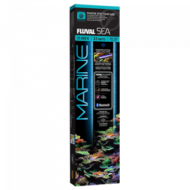 A stunning new marine aquarium exclusive to Maidenhead Aquatics. Carefully designed and constructed by experienced fishkeepers, the Aqua Marin 900 Pro has unique features including a space-saving weir system, fully enclosed sump and a safe place to store electrics. 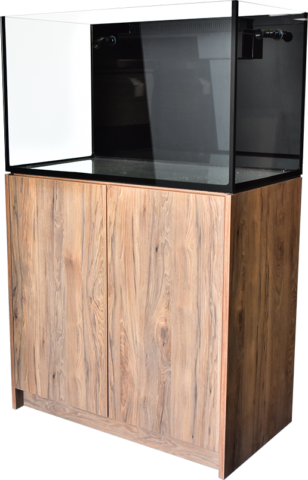 This marine aquarium is available in four colours: Hickory, Mekong, black and white. Inside the cabinet of the Aqua Marin Pro 900 sits a vivarium style sump, which helps to reduce evaporation, noise and heat loss. 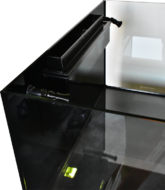 The sump houses a bracket which can hold 2 x 4” filter socks, a skimmer chamber, bubble trap, spacious return pump compartment and a top up chamber. The filter sock bracket can be easily removed and allows the user to upgrade to the D-D Clarisea 3000 filter unit perfectly, you can view this product here.